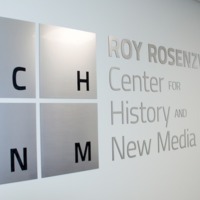 In Fall 1994, Roy Rosenzweig founded the Center for History and New Media (CHNM) in the Department of History and Art History at George Mason University (GMU). The Center's origins lay in an agreement between the American Social History Project (ASHP) and GMU in 1990 that provided time for Roy to work with his longtime ASHP collaborators Steve Brier and Josh Brown on a CD-ROM edition of ASHP's Who Built America? textbook. After the first disk was finished, in August 1993, Roy proposed establishing a Center for History and New Media at GMU. 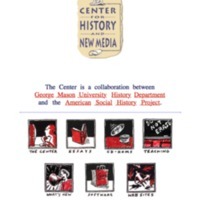 The Center's first funded projects were collaborations with ASHP and the National Endowment for the Humanities (NEH), beginning in 1995 with a second Who Built America? CD-ROM, followed in 1997 by Liberty, Equality, Fraternity, and in 1998 by History Matters. The Center was first located in Roy's office in Dickenson Hall on the Fairfax Campus, with computers in the lobby of the Department's offices. 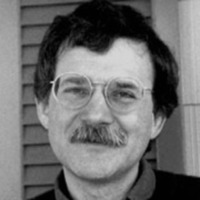 Michael O'Malley, who joined the Department the same semester that Roy launched the Center, became Roy's main collaborator, and, in 1995, formally CHNM's Associate Director. Elena Razlogova, who began a PhD at GMU in 1995, joined the Center as its first staff member, working ten hours a week. When the Department moved to Robinson Hall in 1997, CHNM expanded to two offices connected by a lobby area, which contained computers and a printer - not dedicated equipment for the Center, but available for general use by the Department. A postdoctoral fellow, Greg Brown, arrived in 1997, to work on Liberty, Equality, Fraternity. In 1998, three Graduate Research Assistants (GRAs) from the History Department joined the Center staff, together with a webmaster. A screenshot of the CHNM website homepage from January 1998. A grant in 2000 from the Alfred Sloan Foundation for ECHO, a project exploring and collecting the history of science, CHNM’s first solo project, launched a major expansion of the Center. Three postdoctoral fellows and two faculty arrived in 2001, as well as two additional GRAs, doubling the staff, which doubled again the next year. Also in 2000, the NEH awarded the Center a challenge grant of $500,000, which it matched in 2001 to establish a $2 million endowment. To accommodate the new staff, in Fall 2001 the Center relocated from Robinson Hall to the Pohick Modules, a set of trailors apart from the History Department. In 2002, the Center was involved in the first of what would be a series of grants from the US Department of Education’s Teaching American History (TAH) program, which opened new opportunities for collaborations with teachers. In 2002, CHNM was also awarded the first of a series of NEH-funded teaching grants that expanded the approach taken in History Matters to fields other than US history. These numbers are approximations and do not distinguish full-time and part-time staff. CHNM entered another phase in 2005. With the funding for Zotero, a browser-based tool to collect, organize, cite, and share research sources, the Center began to work in software development. That project attracted the Center's first funding from the Institute for Museum and Library Services (IMLS) and the Andrew Mellon Foundation. 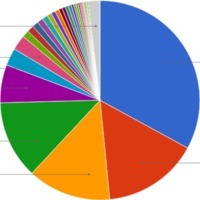 IMLS also funded a new strand of Center projects in collaboration with libraries and museums, including, in 2007, Omeka, a web-based publishing platform for museums, the Center's second major software development project. CHNM's work in the TAH program also dramatically expanded in scale in 2007, when the US Department of Education awarded it a five-year, $7 million grant to build a clearinghouse site. In July 2006, as this expansion got underway, the Center relocated from the Pohick modules to the new Research Building, a humanities outlier among a range of science organizations. As these projects transformed the CHNM, it suffered a huge loss, the death of Roy Rosenzweig on October 11, 2007. Dan Cohen succeeded Roy as the Center's director, with a senior leadership of three division directors - Kelly Schrum, director of the Education division since 2004, Sean Takats, who succeeded Dan as director of the Research division, and Sharon Leon, director of a new Public Projects division - together with Tom Scheinfeldt, who took on a Center-wide role as Managing Director. The award of a second NEH challenge grant, to build the endowment to $3 million, provided an opportunity to name the Center in Roy's honour. Beginning in 2009, the CHNM developed a new strand of digital humanities projects - the One Week One Tool Summer Institutes (supported by NEH), the THATCamp unconferences (supported by the Mellon Foundation), and PressForward, the tool for capturing online scholarly communication (funded by the Sloan Foundation). The number of GRAs working in the Center doubled in 2012, thanks to a Provost's PhD Grant that supported three cohorts of three graduate students a year, who undertook practicum courses at RRCHNM. In 2013, Dan Cohen and Tom Scheinfeldt left the Center for positions at the Digital Public Library of America and the University of Connecticut. Together with the end of funding for the TAH program, a core strand of the Center's work, in 2012, the departure of these key leaders marked the beginning of a new phase for RRCHNM.